Meghan Markle was pictured lovingly cradling her growing baby bump as she spent Christmas Day at Sandringham. But while many are eagerly awaiting the new royal birth in the spring, there are those that believe Meghan may be expecting a double arrival. Rumours have surfaced previously that the Duchess of Sussex is pregnant with twins, with bookies suspending betting last month after a flurry of bets. But it appears that they haven't gone away with some royal insiders now convinced that Prince Harry and Meghan will have to invest in two cots for their new home at Frogmore Cottage. The Daily Star claims that sources close to the couple suspect they might well be expecting two children. According to the paper, one high-ranking courtier was even amongst those to place a bet on the outcome. Parenting website BabyCentre states mums-to-be who are aged over 35 are much more likely to have multiple births - and not just because of fertility treatment. The website says: "For mums in their 20s, one in 16 pregnancies results in twins. For mums aged 35 to 39, one in five pregnancies results in twins. "When this hormonal surge occurs, there's a chance that you may release more than one egg, upping the odds of a multiple birth." 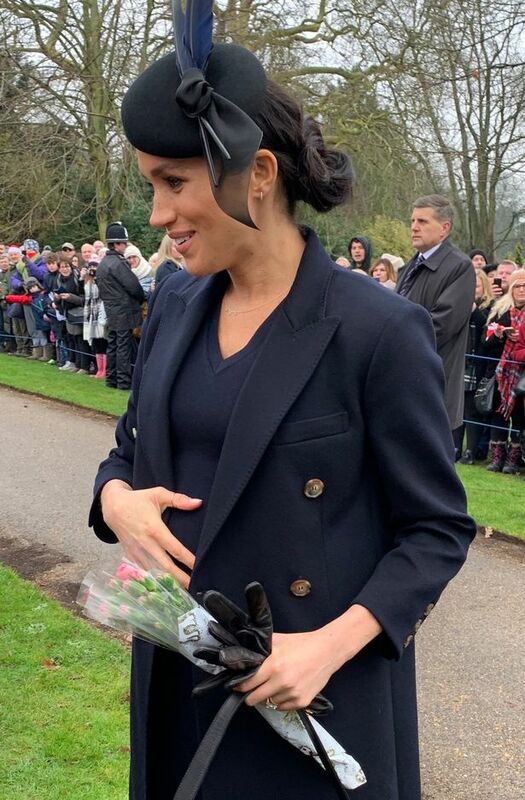 Meghan, 37, was pictured reaching for her bump at the traditional service at the Queen's estate on December 25. Mum Karen Anvil, who earned thousands for a picture of the 'Fab Four' in 2017, took the heartwarming snap. The mum-of-one said: "I actually spoke briefly to Meghan. I asked her if she was excited about her baby. "She said 'the baby's nearly there'." "We had to suspend betting. "An unprecedented amount of bets on Meghan and Harry to have twins has forced us to stop taking bets on the market altogether this morning. "Since the day began, the stream of bets has led us to believe that perhaps the punters – or an insider source – knows something more than we do."